So, you have finally agreed to buy your tween or young teen a smartphone. Maybe it was her good grades; maybe her best friend got one; or maybe you’ve just given in to the constant pleading. Whatever the reason, that shiny new phone is now out of the box, waiting to be embraced by its grateful new owner. This is the first line of defense against snoopers and potential phone thieves. Choose a password that both of you will remember and set the phone so it automatically locks after just a few minutes of non-use. Make sure all the important family contacts are added to the phone, so your child can reach them easily and without having to remember individual numbers. Contacts should include home, parents’ cell phones, sitters, the school, and anyone else your child might need to reach in an emergency. If your child is going to use e-mail, make sure the account is set up and working properly. Agree a set of rules on when and how the phone can be used. These rules should include limits on smartphone use – No smartphones at the dinner table; No smartphones after 9pm at night – as well as rules on what to do if your child is contacted by someone she doesn’t know or if she receives something inappropriate. Once the rules are established, both you and your child should sign a written copy and post them in a communal part of the house for easy reference. Also, be absolutely clear about the consequences of breaking the rules. 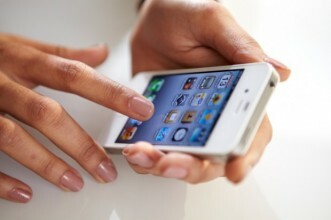 Do not be afraid to take the phone away if the rules are persistently ignored. Different schools have different policies on smartphones and their use on school premises. Again, make sure your child understands what those rules are and what the consequences will be if the rules are broken. Not only are smartphones sophisticated communication devices, but they also offer unfiltered access to the Web and online stores with hundreds of thousands of downloadable apps. Make sure your child understands what she can and can’t do with her phone and what data restrictions, if any, apply. If you have bought your child an iPhone, the Safari browser and access to the App Store can be switched off or restricted. Decide what limits are appropriate and under what circumstances such restrictions can be lifted. Providing your child with a smartphone can be a wonderful opportunity to teach financial responsibility. Maybe she has to contribute to the bill by undertaking weekly chores; maybe she pays for all app downloads out of her weekly allowance. Whatever the arrangement, making some kind of contribution to the cost of a phone conveys ownership and added responsibility. 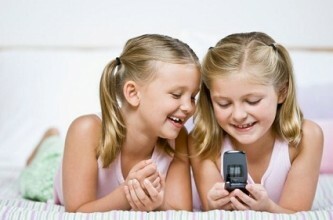 Make your child responsible for the phone’s maintenance and for keeping it safe. That includes choosing a protective case; making sure the phone is charged every night; keeping the phone dry; turning off Wi-Fi or Bluetooth to preserve the battery; and always keeping the phone in a safe place when it’s not in use. Using a smartphone presents both risks and opportunities. Setting a few ground rules before you hand over the phone will provide some much needed peace of mind for you and your child. 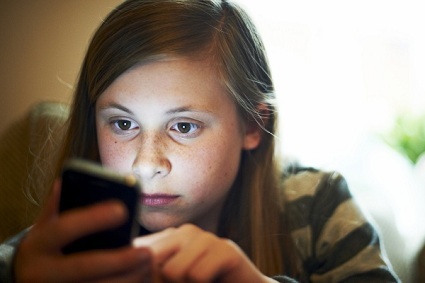 Do you have additional suggestions on how to prepare your child for a smartphone? Share them with The Online Mom!